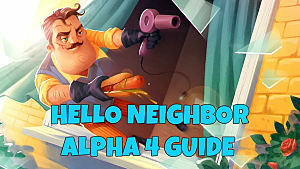 As a bare bones alpha, the core gameplay of Hello Neighbor currently consists of distracting the suspicious neighbor, breaking in, and searching the house while looking for a way to access the upper levels and eventually the basement. That's all a lot harder than it sounds in this stealth horror game though, as the neighbor is on the lookout for intruders, learns from your break-in patterns, and he's got pots of glue to slow you down. 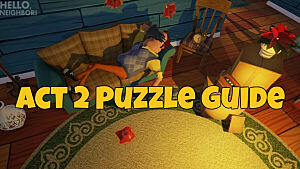 Below we cover all the main items and distraction possibilities to explore the main level of the house. 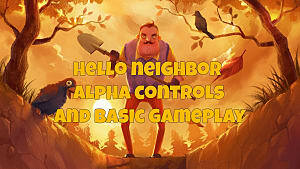 Before any of this info will be useful, be sure to read the controls guide here, since Hello Neighbor offers no tutorial and has no key binding screen letting you know how to interact with the game world. IMPORTANT: this information is current as of Alpha Build 3. 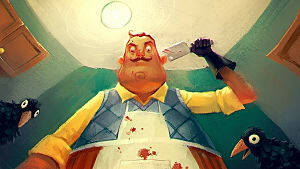 Subsequent builds may invalidate or change some of the item positions and enemy AI! 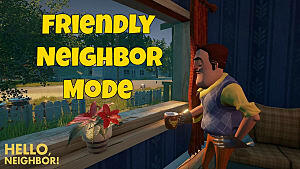 In this build the neighbor now learns from your actions, so if you get caught, be sure to go in through a different route than before. It's also critical to learn the layout of the house, as the neighbor knows the layout better than you and can predict your actions. For instance, if you turn and try to run out the front door when he catches you in the hallway, he will take an open side window to meet you at the door as you leave, which means you need to learn multiple routes for escaping when you are noticed. Hey, this isn't FNAF, quit giving me jump scare screens! 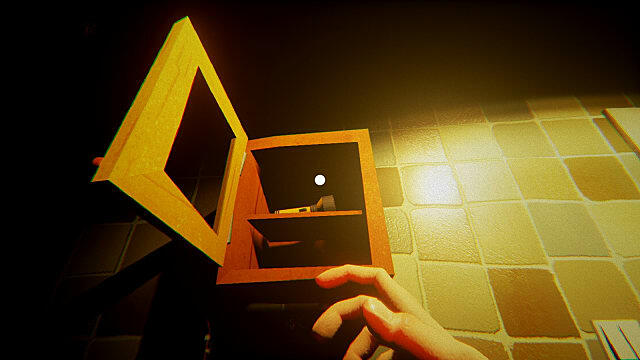 Another key AI change to be on the lookout for is that sometimes he traps doors with objects other than just the standard bear trap -- beware of items set next to or on top of doors that will tip over and make noise when you open them. Nearly anything you can pick up can serve as a useful distraction. 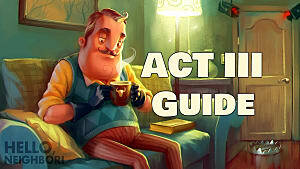 Pick up items like boxes, chairs, brooms, lamps, etc. and throw them against windows or into other objects to cause a ruckus and give yourself some breathing room to escape. 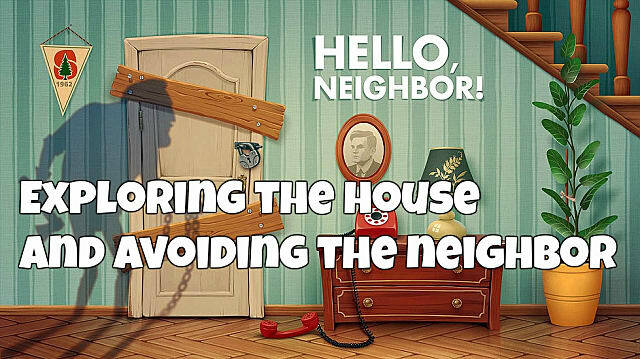 An easy way to distract the neighbor at the very beginning of the game is to turn around and go back inside your house and pick up the cordless phone. Using the phone (from anywhere -- even inside the neighbor's house) will call the neighbor's phone and send him walking towards it near the living room. 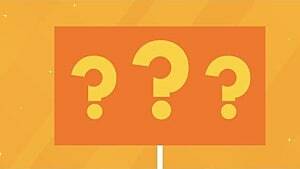 Other than the phone, stay on the lookout for anything that could potentially make noise, like the TV remote or the super useful alarm clock. There are multiple clocks, with one right in front of your house on a box by the car. Using the clock while it is your currently-held item will wind the alarm key. If you then set down or throw the clock, it will begin ringing after a few seconds, which draws the neighbor's attention and effectively serves as a time-release distraction to let you sneak by. 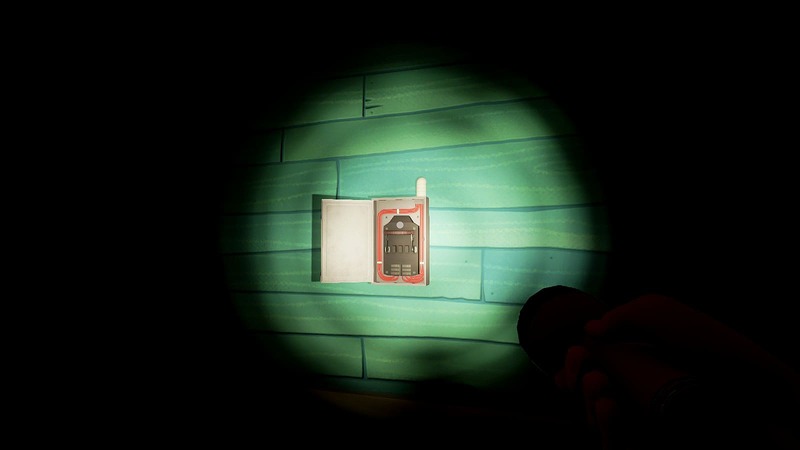 Once you get inside, be on the lookout for the super useful flashlight sitting inside the medicine cabinet in the bathroom (turn right from the front entrance into the hallway, then turn left to reach the bathroom). 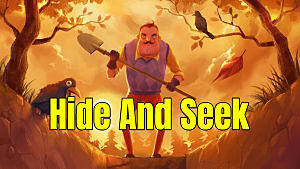 Alpha Build 3 is incredibly dark, so you will absolutely need this to see both in and outside, but always keep it on for as brief a period of time as possible so you don't draw attention. 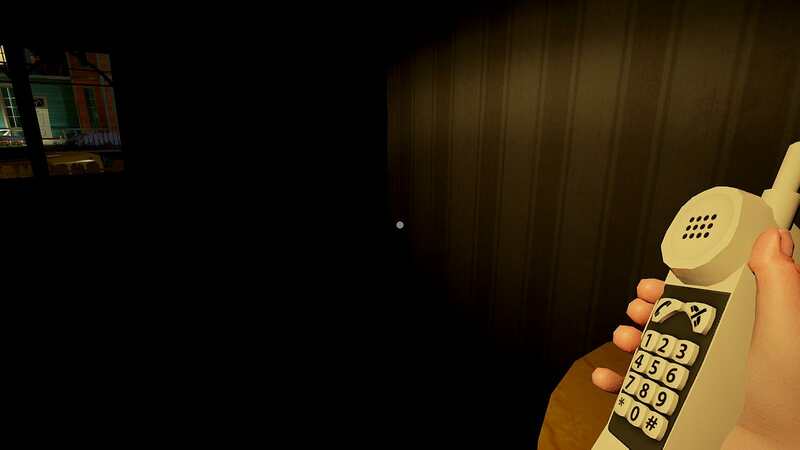 In a pinch, throwing the flashlight can serve as a distraction, but that's a measure of last resort, since you respawn still holding the flashlight after getting caught if it was in your possession. 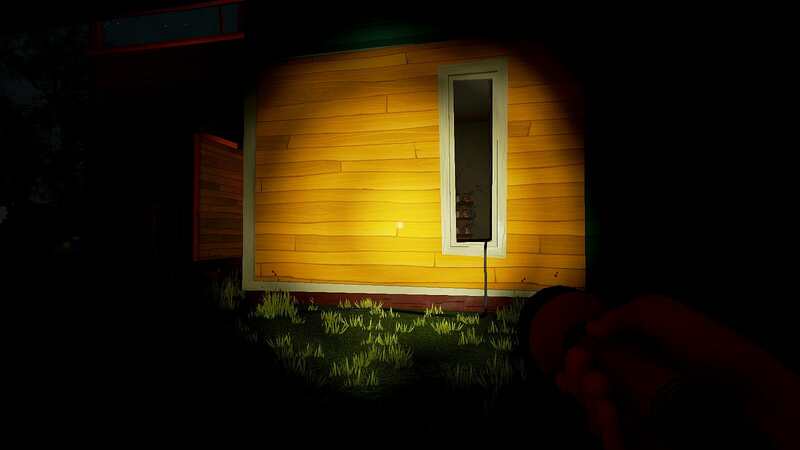 If you aren't going in through the front door, always crouch when moving along either side of the house so you aren't visible through the windows. There are multiple entrances and interactive points alone both the left and right side. On the right hand side, look for the tall, skinny window farthest along the house and closest to the back yard. Throwing a box at the top of the window will smash it out, allowing you a new entrance (and drawing the neighbor's attention). Might as well get a little B with our E! On the left side of the house, the kitchen has an open window with a cable running out that's connected to a generator. 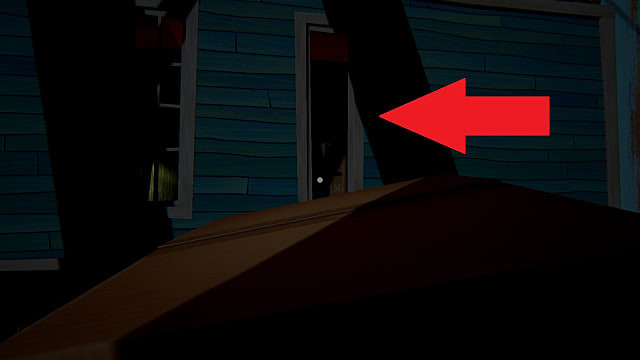 You can jump in this open window without having to unlock the kitchen door first (which seems like a major oversight considering how much of this house is locked up tight). Once inside the kitchen, be sure to remove the chair propped up against the door to your left, as this unlocks the back door and allows another entrance point. Also on the left side, just before the open window, is a breaker box. Open it and interact with the breaker to turn off the power inside (but probably do this AFTER picking up the flashlight). This puts you at more of an advantage and evens the playing field against the neighbor. Good thing I've got a flashlight! After going in either through the front, back, or side entrances you can open one last entry point. Head through the living room hallway until you reach the area with the staircase going up to the second floor. 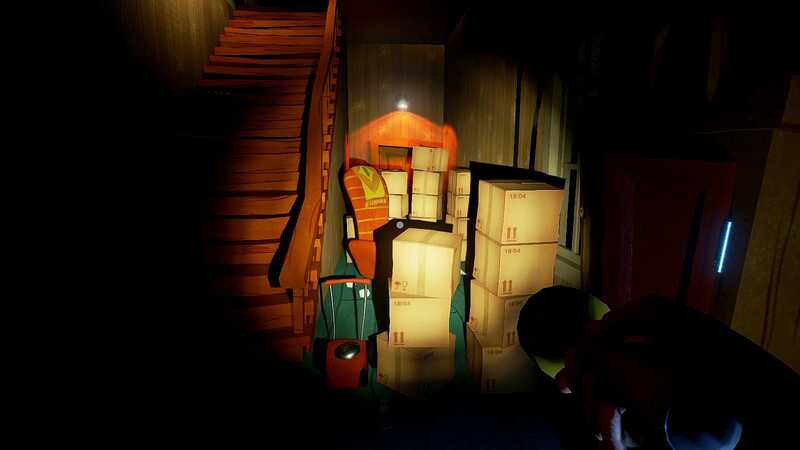 If you wade through the wall of boxes next to the staircase (making a lot of noise unfortunately) and then remove the chair, you unlock the door behind the kitchen area (the annex section with the security camera). Finally, the second floor seems blocked off as it has a steel fence, but you can climb onto the chair and jump around the fence to get to the other side. This provides access to the upper levels of this maze-like home, which will be more fully explored in the next guide. 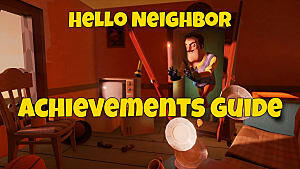 Let us know about any other interesting objects, distractions, or stealth patterns you've discovered on the ground floor of Hello Neighbor! 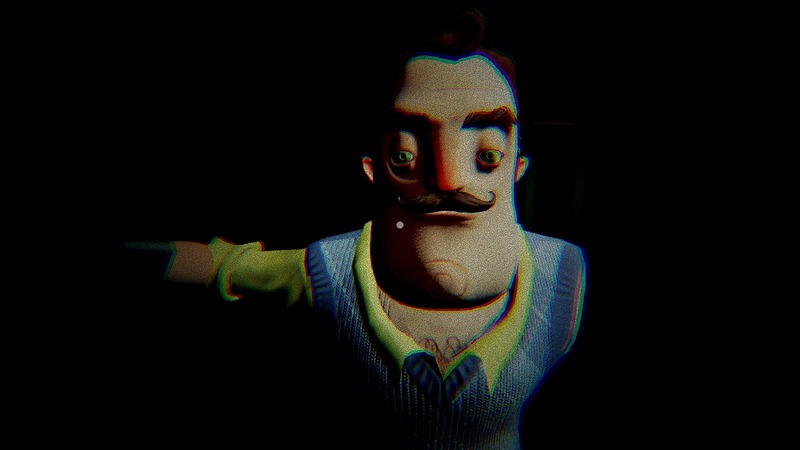 Hello Neighbor Review: Fancy Some Light B&E This Evening?